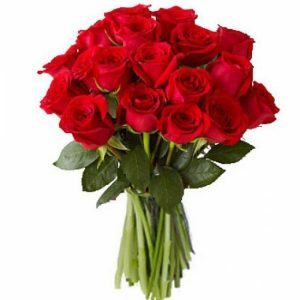 This spirited bouquet holds roses in multiple colors, certain to be an attention-getter! 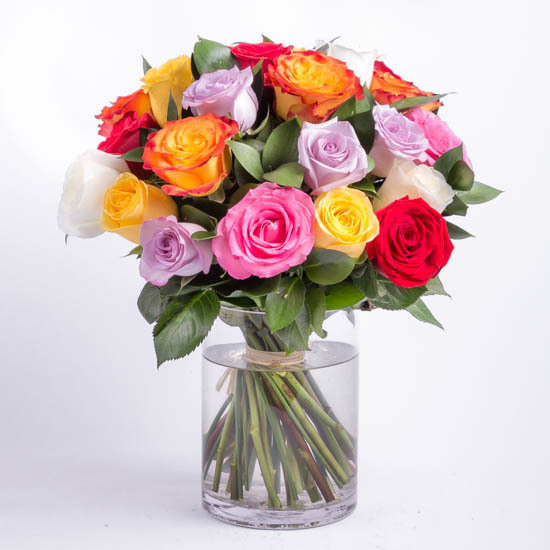 Vivacious multi color roses are arranged with seeded eucalyptus. 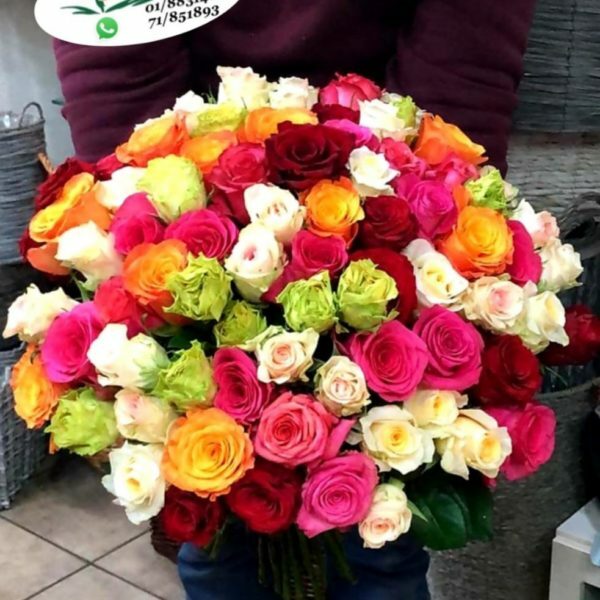 This pure enchantment multi color rose bouquet blossoms with brilliant roses in bright hues to capture your special recipient’s every attention. 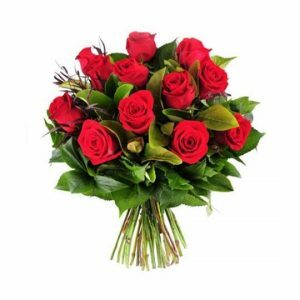 A splash of color accented roses to make an exceptional flower bouquet. 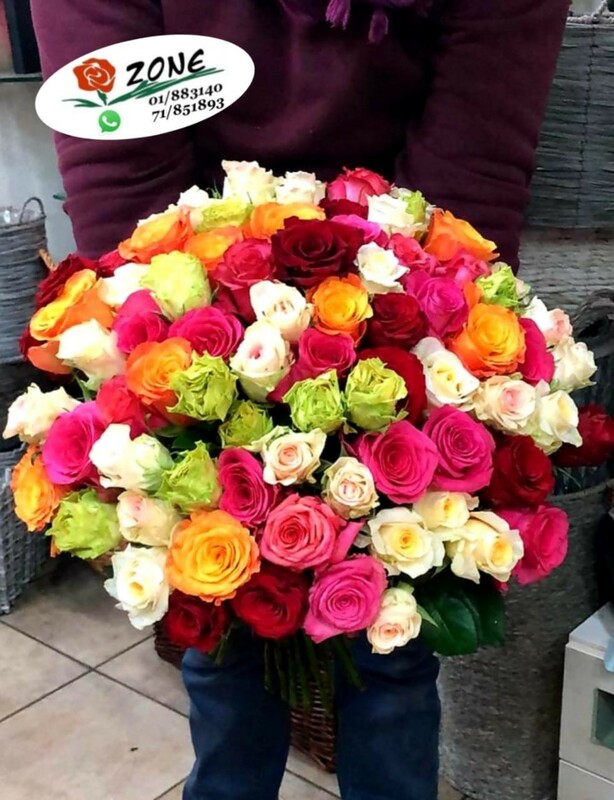 Order it now online, send it to anywhere in Lebanon and enjoy our same day delivery service. 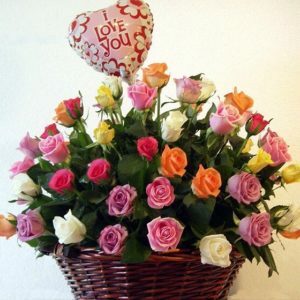 Each color rose has its own meaning. 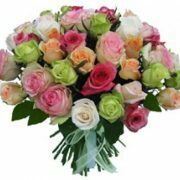 Mix and match different colored roses to send the exact message you want your flowers to portray. 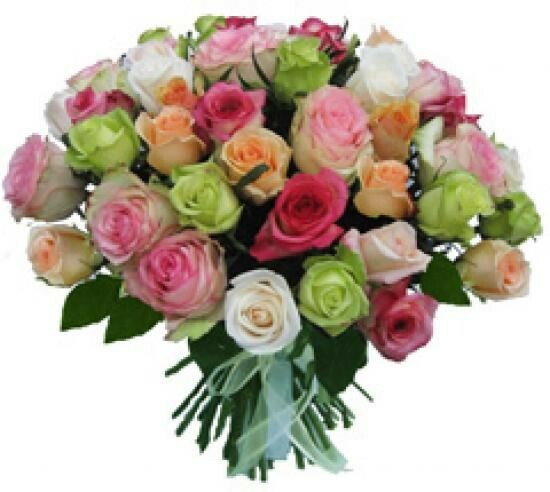 Send your loved one a magic moment with this gorgeous multi color bouquet of roses! 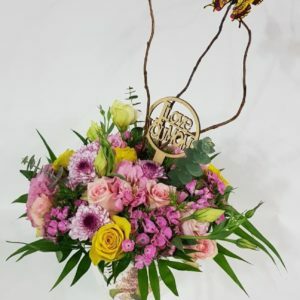 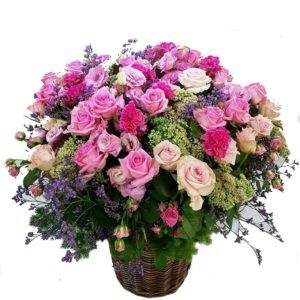 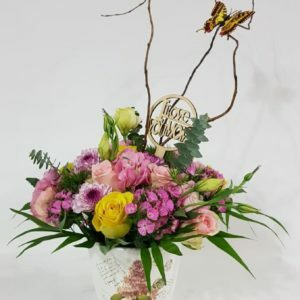 This assorted rose arrangement is a wonderful “just because” gift, sure to brighten her day and lift her spirits. 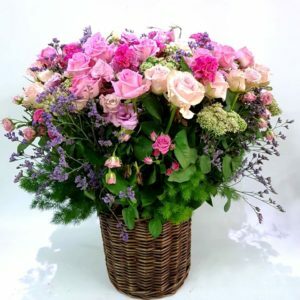 Order it now online, send it to anywhere in Lebanon and enjoy our same day delivery service.